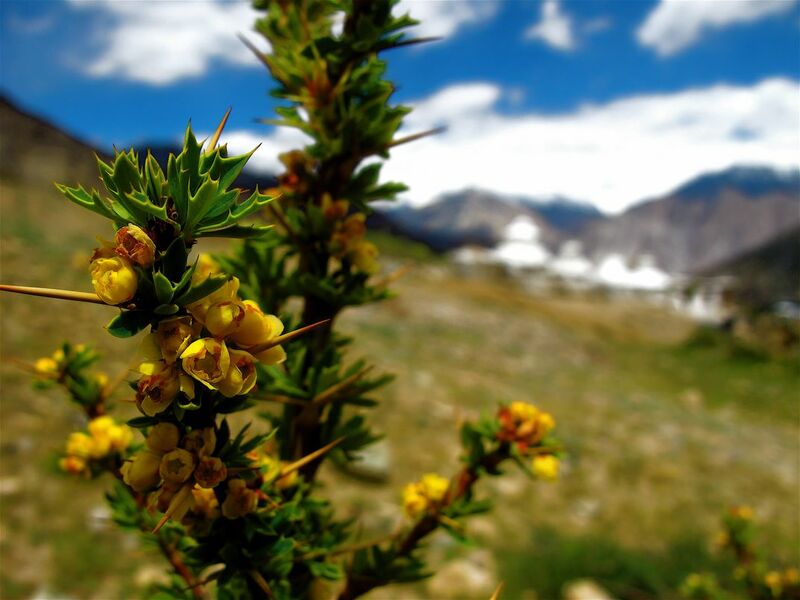 While on my recent trip through the Himalayas, we stopped for lunch in Kardung-la and I found a beautiful yellow thorned flower. The white in the background are some ancient stupas. Date Uploaded: Aug. 7, 2010, 4:46 p.m.